Contact free local Reservations Agent at 831-372-5000 for your custom hotel booked to make your stay extraordinary! All of your desired amenities will be a part of your ideal room reservation in an easy way to enhance your stay at your preferred hotel choice. You will receive the best hotel room options for your preferred dates of stay and the best rates when you make your reservations well in advance of your arrival. Walking down San Carlos Ave where The Hotel Carmel lies is like walking in Clint Eastwood’s footsteps literally. This is the same street where the former mayor owned the Hog’s Breath Inn, which is under other ownership these days. This inn was formerly the Dolphin Inn and has been transformed into a chic boutique inn. It is like a bed and breakfast inn with a modern flair! Shops, art galleries and impeccable restaurants surround you in this walking village like no other. There are patio, firepit with umbrellas and awnings in relaxed al fresco areas with patio tables. A seaside cottage style is felt thought the hotel and the grounds. Rooms are tastefully furnished and many have fireplaces with comfy king size beds. Breakfast is included and the inn has parking which overflows into neighboring streets. There is a relaxing reading room for book worms. And located on property is the unique pub Brophy’s Tavern, complete with broadcasts for sports fans. Already becoming a poplar hotel, it is good to request room reservations here right away in order to get the best rates and room availability. Whether an individual, family or group reservation Carmel Area Reservation Service at 831-372-5000 will find you wonderful room options and let you know. Then you select the rooms you like best and it will all be reserved for you, including special requests. 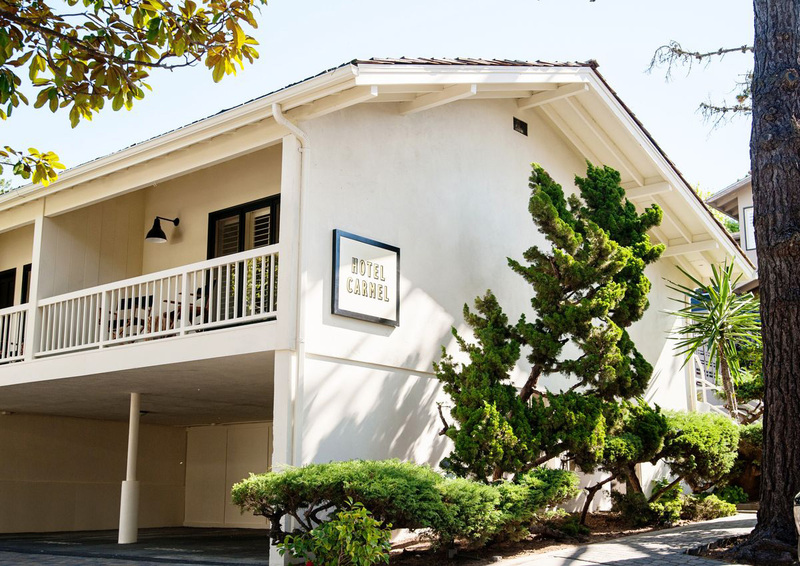 Rate quotes for room blocks during weddings and meetings are promptly provided to you as part of the free event planning services offered when you are hosting your next event in beautiful Carmel by the Sea!